Oatmeal’s for horses! So Frank decided to spice it up a little, add some apple, and muffi-fize the whole thing. Now you can help your heart and enjoy the taste. 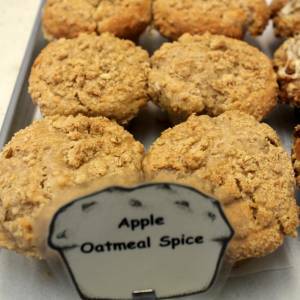 No doubt about it, this muffin will be the apple-oatmeal-spice of your eye. Pay yourself with each bite of ample-apple savor. But if you’re not Frank and you’re not French, here’s what that means.